1. Having the advantage of energy-saving and also environment-protective. 2. 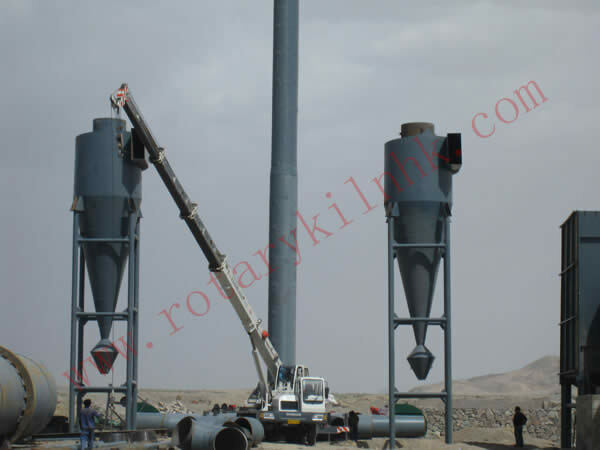 Ceramic sand rotary kiln is the important equipment when manufacturing high quality ceramic sand. 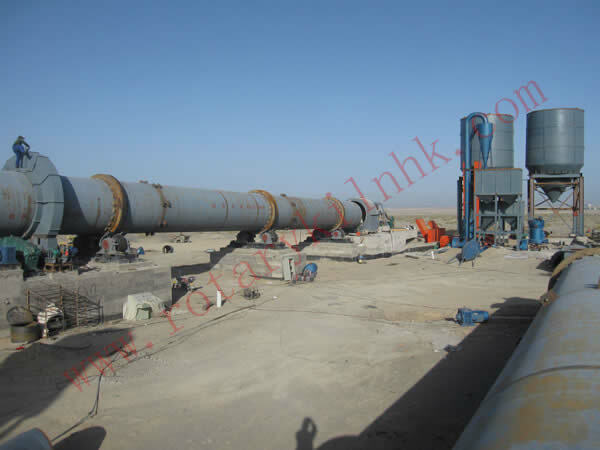 Rotary kiln is equipped with simple structure, a few wearing parts and high operation ratio which can ensure a reliable control during the production process. 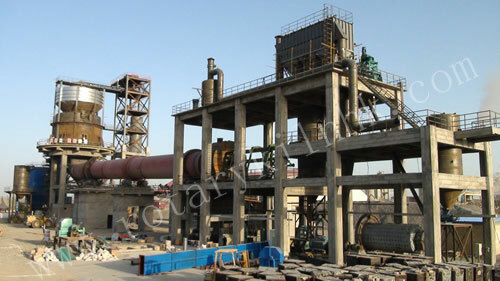 Our factory has rugged structure with smooth operation and high quality outlet products. 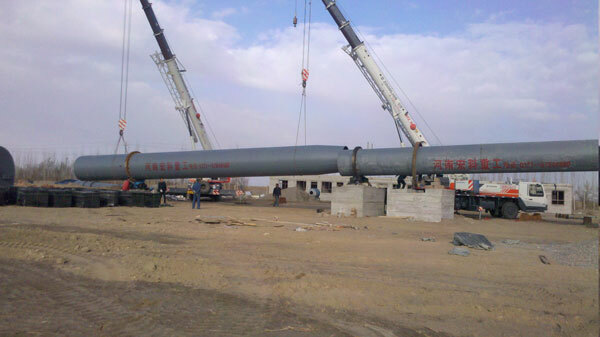 We provide our customers with advanced, efficient vertical heating device as well as cyclone heating device. 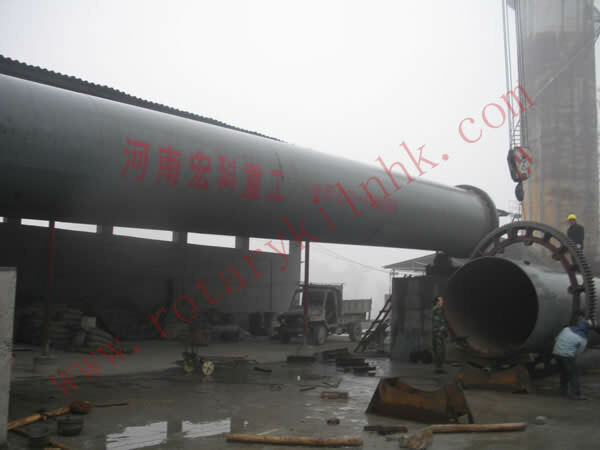 After milling, the materials enter the kiln outlet at high end of the cylinder through the pre-heat process, and then it will be fed into the kiln by the tremie pipe. Heating source is sprayed into kiln by burner barrel in the head of the kiln. 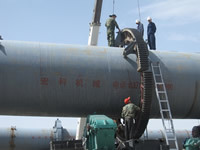 Due to the inclination and slow rotation of the cylinder, the materials will be rolled in the hoop direction. Being calcified, reacted and decomposed in succession in the section of calcinating, reaction and decomposition. Note: exhaust gases are discharged by the exhaust blower and drain it into atmosphere by chimney after finishing exchanging heat with the materials. 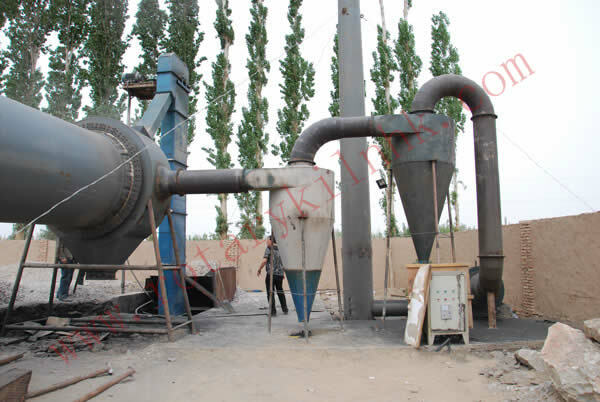 Materials are discharged from the head of the kiln, and then enter the cooling device and it will be cooled. 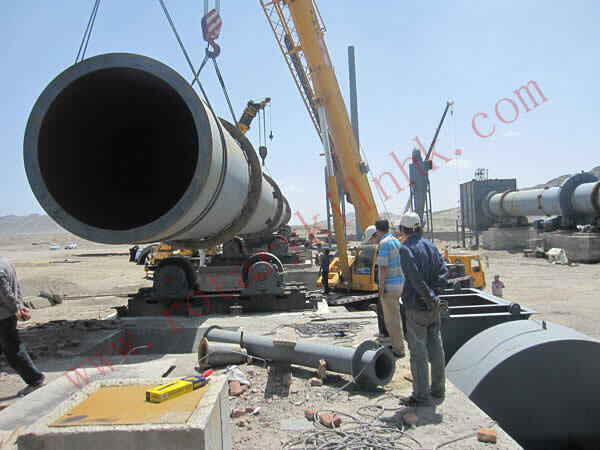 Screens and final products will be conveyed to the yard. The big size of materials will be sent back and processed.